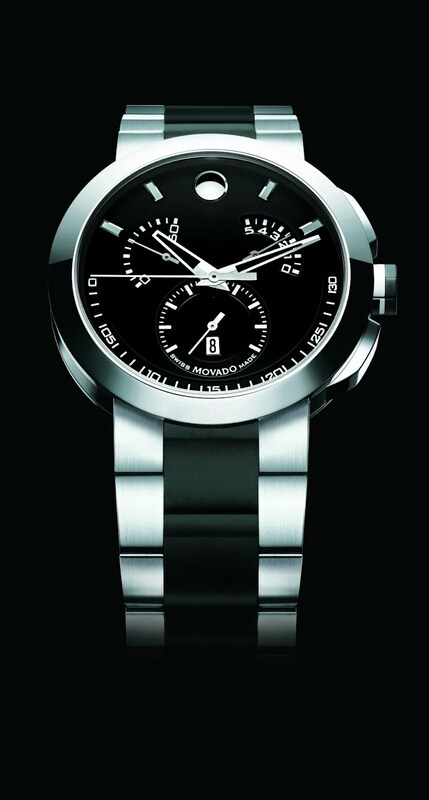 Exploring design simplicity with a dramatic streak, Movado launched Verto™, a contemporary, tailored bracelet watch for men in 2010 at Basel. Now for 2012, the original Museum dial model is joined by a modern, streamlined chronograph, crafted for compelling visual contrast in solid and black PVD-finished stainless steel. A round 42mm stainless polished steel/black PVD case with simple bezel design and cleanly sculpted crown protector frames the modern chronograph dial which is topped by a flat, scratch-resistant sapphire crystal. 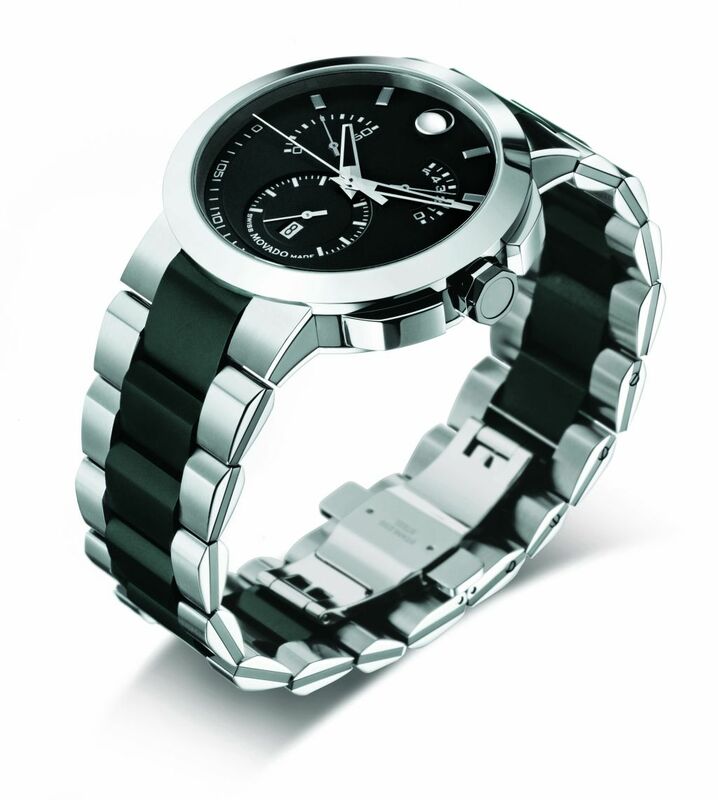 Detailed by a signature concave dot at 12 o’clock, the matte black chronograph dial features silver-toned skeleton dauphine hands, a small seconds subdial with date display at 6 o’clock and 3 retrograde chronograph counters with subtle white indices: a center-mounted seconds chronograph hand, and atypical pie-shaped 5-minutes and 60-minutes counters at 2 o’clock and 10 o’clock, respectively. MOVEMENT: Precise 1/1-of-a-second Swiss quartz chronograph movement. DIAL: Matte black dial with center-mounted retrograde chronograph seconds hand, retrograde chronograph 5-minutes counter at 2 o’clock, retrograde chronograph 60-minutes counter at 10 o’clock, small seconds subdial with date display at 6 o’clock, skeleton dauphine hands, rhodium-plated concave dot at 12 o’clock, white indices and lettering. CASE: Solid and black PVD-finished stainless steel case with crown protector, two-tone black PVD/steel crown. Flat, scratch-resistant sapphire crystal. Water resistant to 3 ATM. BRACELET: Solid and black PVD-finished stainless steel link bracelet with push-button deployment clasp.